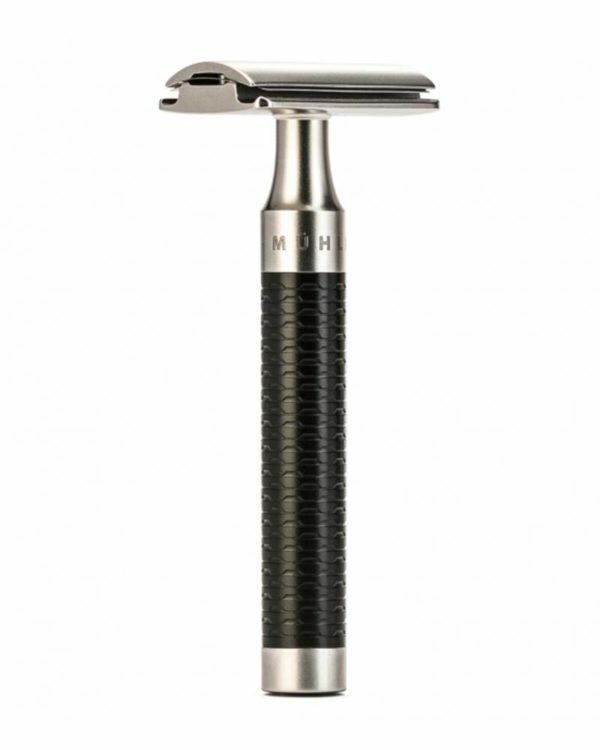 No frills, but with fine extras: The ROCCA razor could not be clearer or more masculine. Its uninterrupted lines from attachment to base ­make it both beautiful and practical: Thanks to its ergonomic shape and the surface structure of the handle, it feels good in your hand. As connoisseurs say: It has grip. It turns an everyday ritual into a daily design experience. 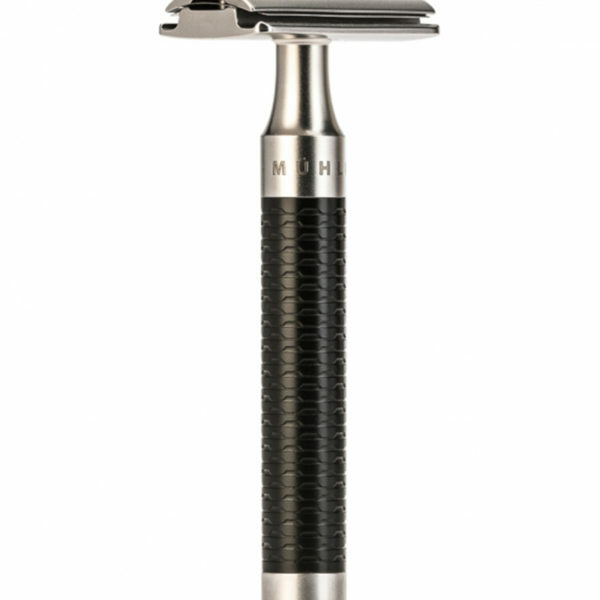 The surface structure of the black handle is a modern interpretation of the knurl on the handle of a classic safety razor. The honeycomb-like structure not only provides a contrasting accent to the satin-finished stainless steel, but is also very tactile, offering excellent grip. Beautifully simple, yet particularly masculine: This is the new ROCCA range of products. A little more modern, and more distinctive than much of what is known from MÜHLE, they are made from the finest and most durable stainless steel. But it has been worth the effort: These products are particularly durable and robust.The satin or slightly matt finish not only feels good in your hand, but is also pleasing to the eye and creates an elegant effect. Even with all of these new details, ROCCA’s heritage is still very evident. The design of this range is a further development of classic MÜHLE models; the name ROCCA (from the Italian for castle or fort) refers to the very best materials – and also to the fact that a MÜHLE product will last a lifetime and beyond.